“Be diligent to present yourself approved to God as a workman who does not need to be ashamed, handling accurately the word of truth” (2 Timothy 2:15). raduation is always a beautiful and exciting time. 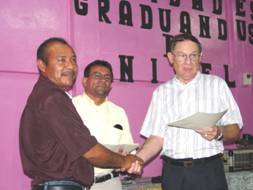 That was no different in Danli, Honduras, in November 2006, when we gave diplomas to students who completed all ten of the basic courses for Pastor and Church Leadership Training. Students completing the ten basic courses at the Center for Bible Studies for Pastors and Church Leaders in Danli, Honduras, received diplomas at graduation services for pastors and church leaders. Over a dozen of those receiving diplomas are directly involved in church planting with others working with them in their ministry. 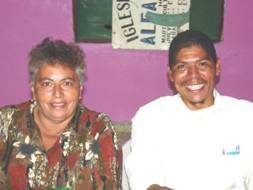 Two of our graduates, Mandrrique and his wife Miriam, are serving in a new mission begun by their home church. They have been using the materials from our courses in their Sunday School classes and home Bible studies. During a recent service it was exciting to hear the children quote Bible verses and the books of the Bible. 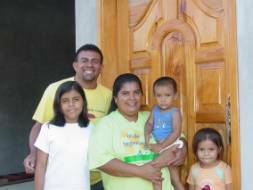 In December 2006 Abide in Christ provided funds for the purchase of two pieces of property for Alpha and Omega Baptist Church in Danli, Honduras. 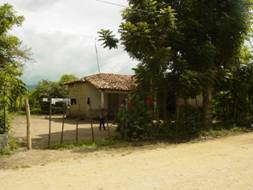 Property was purchased with funds from Abide in Christ for a new mission church in Zapotillo, Honduras. This mud brick house will be used for worship and Bible studies until a construction team goes to Zapotillo to replace it with a 30’x60’ building of cinder blocks with a tin roof. Please pray for two construction teams and three evangelism saturation teams to come and minister in Zapotillo, Cullali and Danli. 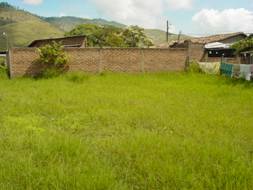 Lot purchased by Abide in Christ for Alpha and Omega Baptist Church to build a church building for the Baptist Mission in Las Cassias subdivision in Danli. Blanca and her family have started a new Baptist mission with six home bible studies. Juan Alberto and members of Alpha and Omega Baptist Church have been working with Blanca by preaching and showing gospel films in open air. After two years of violence in Cullali, our work has started again and is meeting in the home of a believer. 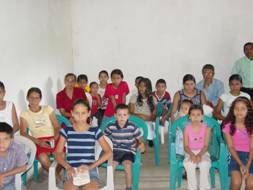 Pray for Santos as he teaches Bible studies in this home and conducts worship services. 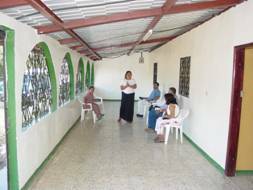 Front porch of a believer’s home in Cullali where Santos is conducting weekly worship services. q Pray for three evangelism saturation teams to do door-to-door evangelism and rallies at night. q We have prepared one-day Evangelism Workshops for churches in Latin America. These are patterned after the personal evangelism course we teach pastors and church leaders, but are shorter. This course has proven to be very practical and effective in personal evangelism. It was first used in Ecuador and Honduras. The vision for training rural pastors began with this course in mind while serving as a missionary in Honduras.